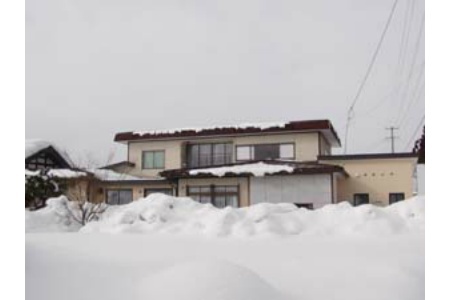 Good location in the countryside, in the center of Yokote basin, within an hour by car of Kakunodate and Yokote. Various events all through the four seasons: Weeping cherry in Kakunodate in spring, Omagari Fireworks in summer, Kamakura festivals in winter. Many public hot springs within a 30 minute drive. You can arrange your own onsen tour. 20mins by walk from Iizume station, JR Ou line.